When Turkcell needed to exhibit their real-time automotive information app in an indoor setting, we used virtual reality to deliver an immersive driving experience. 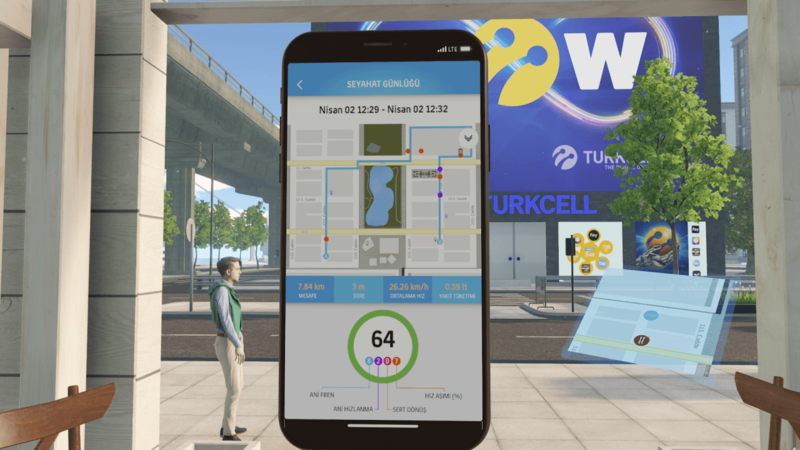 Turkcell was launching their innovative Kopilot app, which provides notifications about the driver’s vehicle in real-time. With no space outside for them to offer a real driving experience, we combined VR technology with a cut-in-half car to provide the closest thing for users. 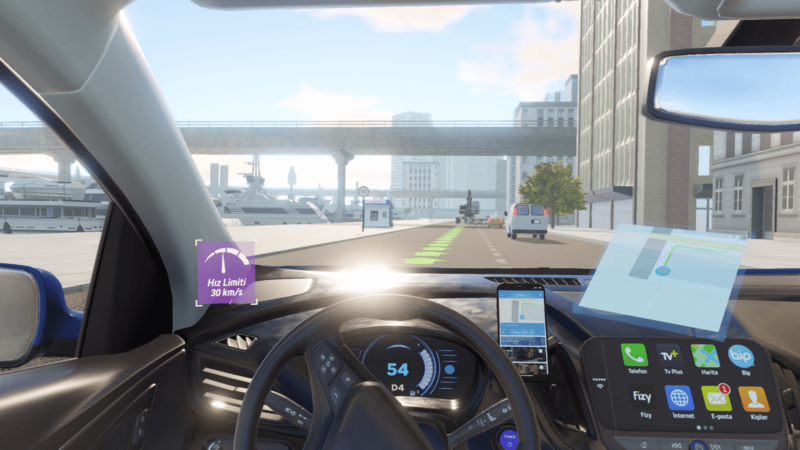 The fully-immersive activation includes a virtual entire city environment with realistic traffic simulation that drivers navigate through. As they drive through the virtual world, the Kopilot system provides notifications through the intuitive UI system we designed. 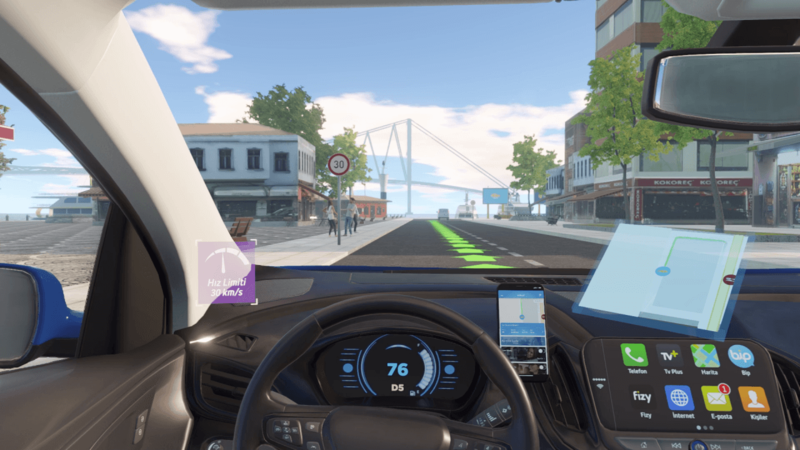 Everything from exceeding the speed limit to low-fuel indicators pop-up to give the driver an augmented reality in the virtual reality. Any additional occurrences such as the car being moved, stolen or another driver taking over also caused a notification to be delivered. 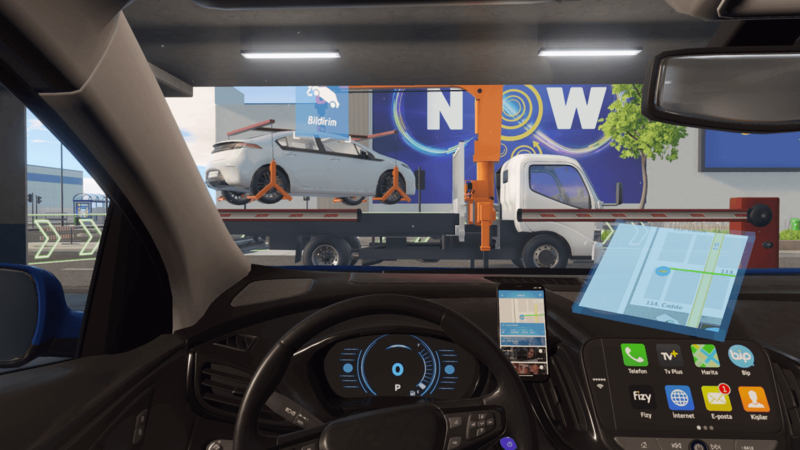 By cutting an actual car in half and placing it in a 2 DOF motion platform, drivers truly were in full control of the modified console wheel while wearing the VR headset. Accidents and fast movements cause the car to move in real-life, adding to the authenticity of the experience. 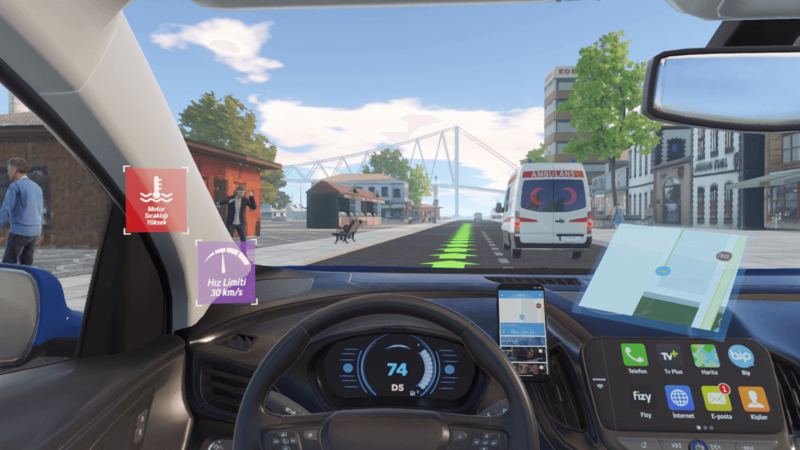 With no option to discover Kopilot’s wide range of features in a real car, we allowed users to learn about how the system works through virtual reality.